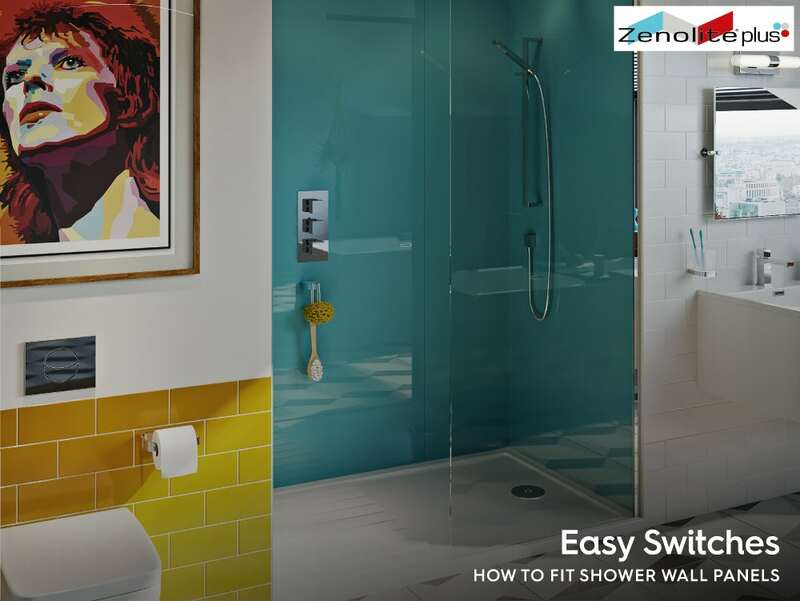 As part of our range of Easy Switches blog posts, we’ll be looking at the more simple things you can do to transform your bathroom. 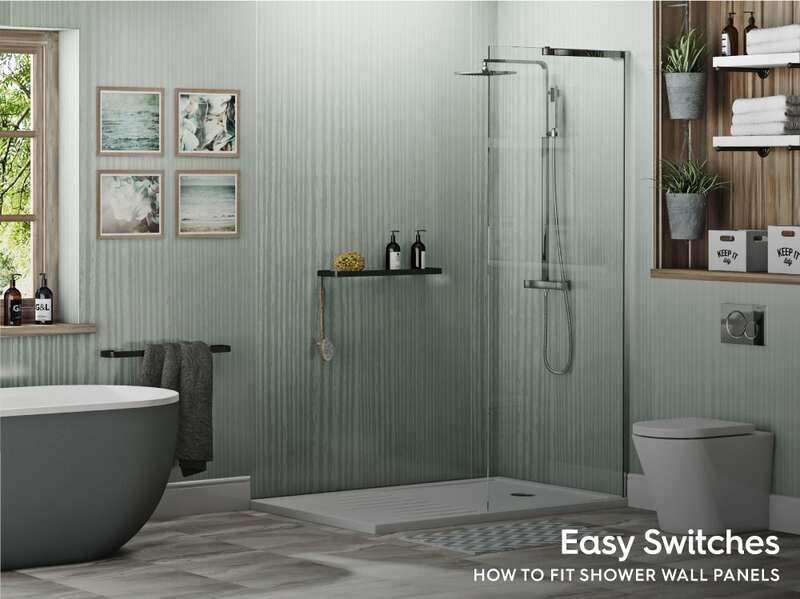 In this article, we’ll show you how easy it is spruce up your bathroom space with shower wall panels. When choosing your bathroom wall coverings, there are several options you could choose. However, in splash zones, like the internal walls of your shower enclosure, the area above your bath and the space behind your basin, you will need a more watertight solution that offers better protection. Many people opt for tiles, as they offer a very hardwearing surface that is impervious to water. However, these days, many more people are choosing shower wall panels which can also be used right around your bathroom. Quick and easy installation—can be fitted up to 6 times faster than tiles, with no need for a specialist tiler. 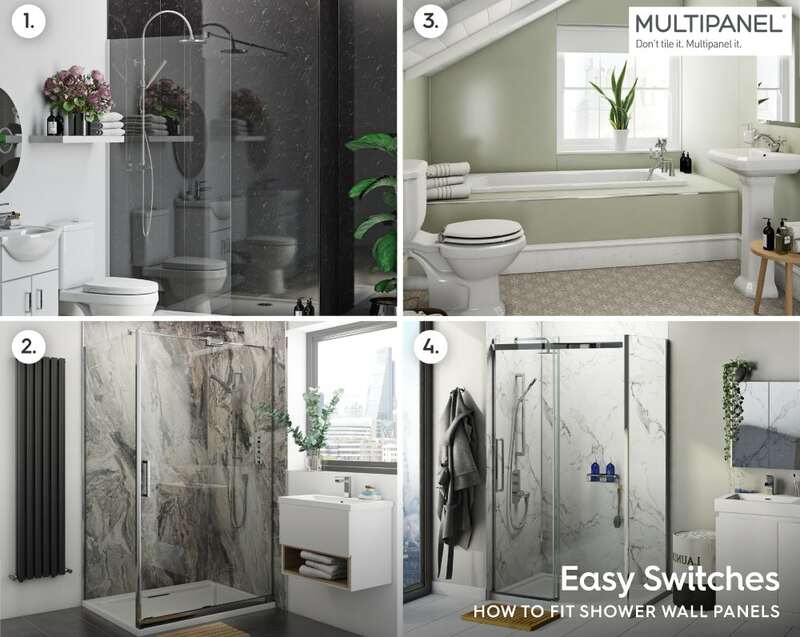 Whether you are simply updating the internal walls of your shower enclosure or working right around your bathroom, you’ll need to know how much space you’ll need to cover. 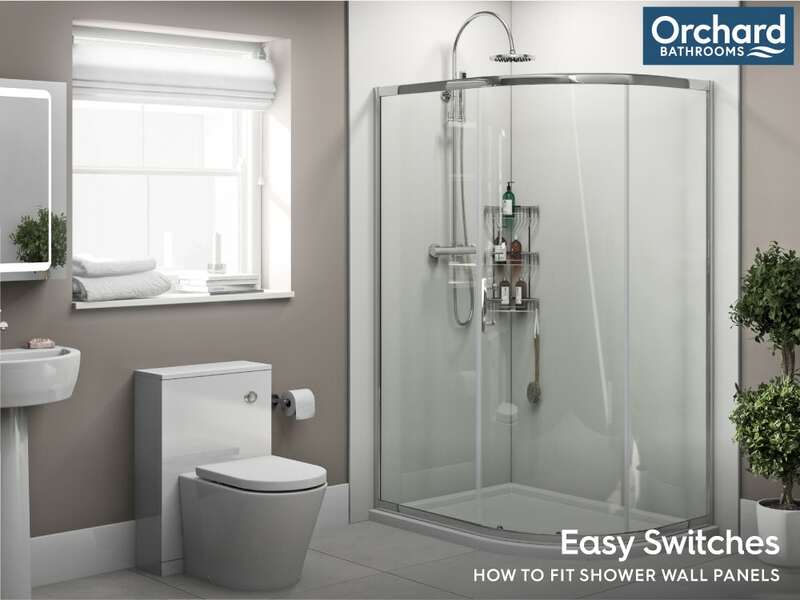 Made from 10mm rigid PVC, the shower wall panels from Orchard Bathrooms come in a range of simple yet stylish designs, including gloss white and marble-effect. Ensure you purchase your Orchard installation kit and profiles for a professional installation. Available in a selection of fresh, contemporary designs, from simple Snow Drift to Rustic Brick, the Economy range offers you uncompromising quality at an affordable price. Bringing both sophistication and elegance to your interiors, the Classic range comes in a wide variety of colours, styles and shades. Available with the unique Hydrolock edge which locks panels into place for an almost seamless appearance. If you have a traditional style bathroom, the Heritage range is the perfect choice. With a selection of relaxed colours, these panels exude calm and serenity. They are also available with the Hydrolock system for easy installation. 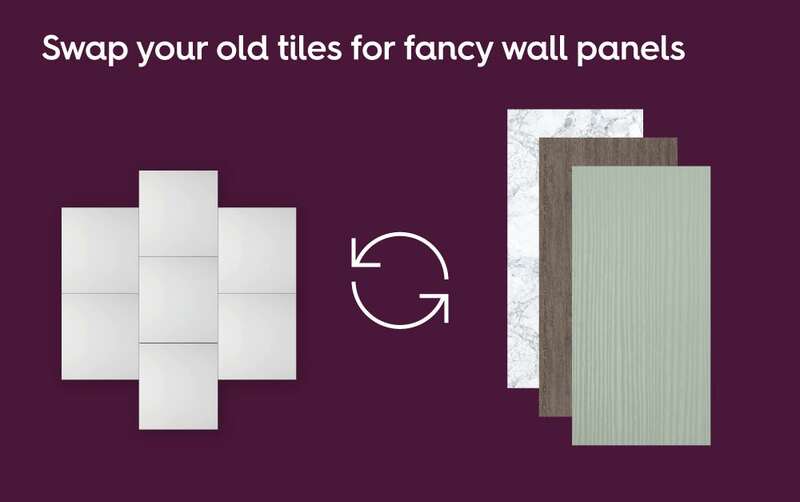 Known for her appearances on the BBC TV show Changing Rooms, Linda Barker has worked with Multipanel to create a stylish collection of designer wall panels. Featuring marble, granite and wood-effect designs, they are so realistic, you'll want to reach out and touch them. 1. Economy. 2. Classic. 3. Heritage. 4. Linda Barker. Multipanel profiles are also available, in silver, white and black, along with high grab adhesive and sealant. If you are looking to introduce bold colours into your décor, Zenolite is a great choice. Made from acrylic, which has 20 times the impact strength of glass, yet only half the weight, it gives a mirror reflection high gloss finish. Highly resistant to scratches and impervious to moisture. Even stands up to harsh chemicals. Choose red, green, blue, black and white, along with colour-matched profiles and end caps and an installation kit. Once you’ve picked your shower wall panels and ordered them, they will be carefully delivered by experienced couriers. Prior to installation, it is strongly recommended that you condition your panels, by laying them down flat in the bathroom in which they will be fitted (or a similar environment) for a period of between 48–72 hours. Don’t rest them at an angle against walls, or between supporting structures. In this guide, we’re using Orchard wall panels and installation kit. Installation instructions may vary slightly depending on which brand and design you choose. So, always consult the instruction manual when installing your product. The installation kit should include fitting guide, dual-purpose clear adhesive sealant, a roll of foam tape, sanding pad, tile spacers and a silicone finishing tool. Watch the video below and follow the step-by-step instructions. Measure the area where the wall panels will be fitted. This includes both horizontally and vertically. Wall panels can be fitted over multiple surfaces, like tiles and plasterboard. Take your panel and lay it flat on supports with the front facing up, then mark out the cutting lines on the panel. Strips of masking tape will help protect the edges while cutting the panels down to the required size. Using the electric saw, carefully remove the excess wall panel. Remember, to use the safety goggles when using these tools. We’ll be using the chrome trims to give a nice clean finish to our edges. So, we are removing the tongue and groove join from both sides of the panel. Some trims may have to be screwed in using a screwdriver or power drill. Take a sanding pad and run this along all the cut edges. This will create a smooth finish and remove any debris. Now, flip the panel over and use the sanding pad to rough up the surface. This will allow the sealant to form a stronger bond. To fit the panels together, we are using the corner trim piece. Add a small bead of sealant to the wall and place the corner piece into position. Place tile spacers underneath the location of the wall panel. This will allow for sealant to be added afterwards. We are now ready to apply the sealant to the rear side of the wall. Begin by laying 3 parallel strips of foam tape along the entire length of the board. Then apply the sealant, first with a thin line down either side, then zig-zag the top and bottom for greater coverage. Finish with large circles of sealant, to make sure it’s spread evenly. Now we’re going to fit the end trim piece to the board. Add some sealant to the inside of the trim, as well as the very edge of the wall panel. Then position the trim in place. After adding some sealant to the corner trim piece, remove the backing layer from the foam tape. Lift the panel into position and slide into the corner piece at an angle. This prevents the tape from sticking to the wall until the panel is in the correct position. Repeat the process with the remaining wall panels, again ensuring they are correctly positioned before smoothing down firmly. If you want a less visible join, you can make use of the tongue and groove joins. By adding some masking tape here, we can keep a nice, neat finish when applying the sealant. Slide into place and remove the tape. Finish the join by running the silicone finishing tool along the groove. Use the same technique when sealing the panels to the floor. A little sealant and you’re done. Wall panels are a quick and easy alternative to tiles. Add in some fantastic VictoriaPlum.com products and your bathroom makeover is complete. If you need further inspiration, check out more wall panel styles on our site, like the one pictured below. Why not browse our wide range of shower wall panels from brands such as Orchard Bathrooms, Multipanel and Zenolite. 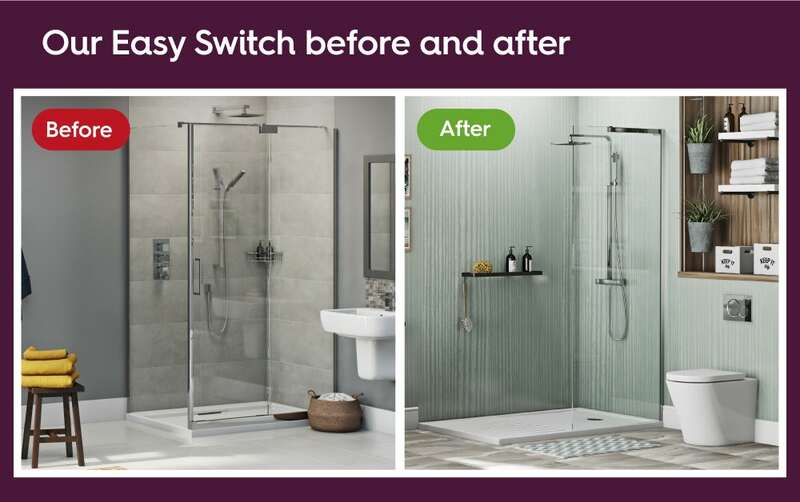 If you’re looking for more quick and easy ways to update your bathroom, take a look at our Easy Switches and Modern Fixes hub for ideas and advice. Looking to tile your bathroom or kitchen? Our handy step-by-step DIY guide will give you all the help you need when tiling your home.